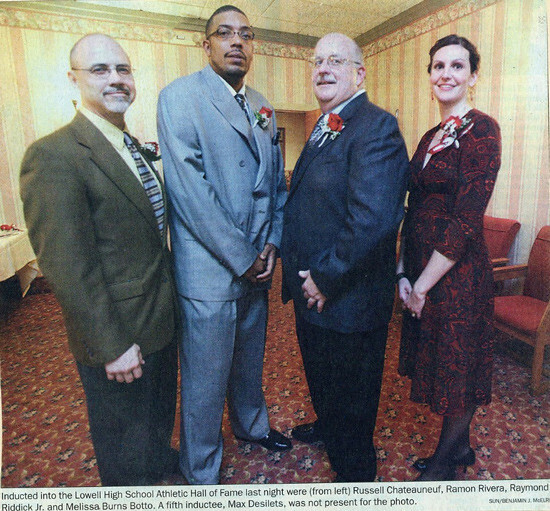 Renowned as perhaps the most outstanding player in the long history of the Lowell High School Boys Basketball program, Ramon Rivera was the dominant force of the golden era of Red Raider basketball under Coach Charlie Ryan during the 1980’s. A rare 4-year varsity starter, Ramon made an immediate impact in the highly competitive Merrimack Valley Conference, earning All-Conference honors as a freshman, an honor he would win in each of his 4 seasons as a member of the Raiders. 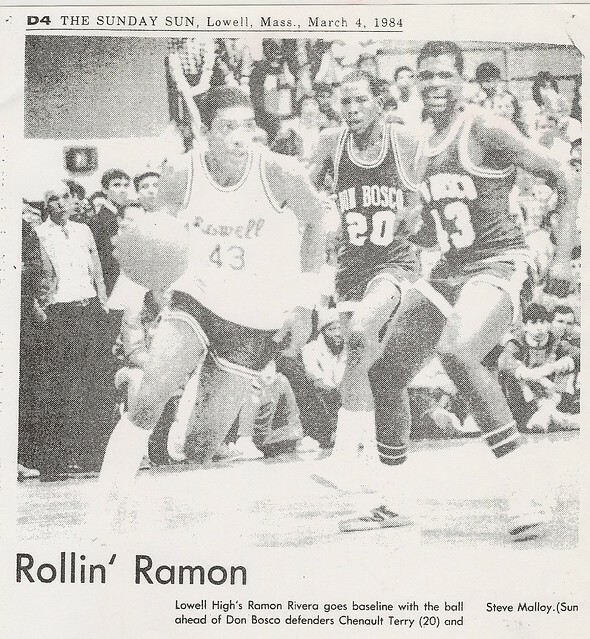 Over the course of his career, Ramon was selected to the Lowell Sun All­Star team during his sophomore, junior and senior seasons and was named the Sun’s Player-of-the-Year as both a junior (1983–84) and a senior (1984–85). 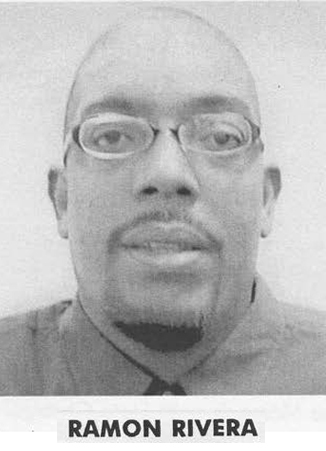 A 6’5″ swingman, equally at home under the basket and playing on the wing, Ramon was twice named Most Valuable Player of the prestigious U-Mass Lowell Christmas Tournament (in both 1984 and 1985). 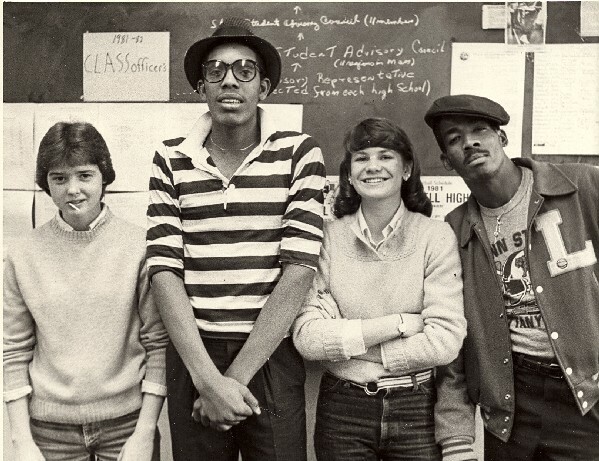 Ramon was named to the Boston Globe and Boston Herald All-Scholastic team as both a junior (1983–84) and a senior (1984–85). During the 1983–84 and 1984–85 seasons, Ramon averaged over 20 points per game as the Red and Gray compiled an overall team record of 43–3 and won the Eastern Massachusetts Division I North Championship in 1984. En route to that title, Lowell defeated 2-time defending State Champions Don Bosco (a team with 4 eventual Division I college players in its lineup). Lowell’s 84–80 double overtime quarterfinal victory in front of over 2000 fans in the Riddick Field House stands as perhaps the greatest high school basketball game ever played in the city. Ramon’s name dominates the LHS Basketball Record Book in a variety of categories. He is Lowell’s all-time career leader in point scored (1459), field goals (594),free throws attempted (360), free throws made (271), games played (86), offensive rebounds (300), defensive rebounds (396), total rebounds (696), and steals (194). He is also 2nd in career blocks (142). Over 4 seasons Ramon averaged 58% in field goal shooting and 75% in foul shooting. After his senior season, Ramon received a full scholarship to national power University of Houston where he played for one year under legendary Coach Guy Lewis.